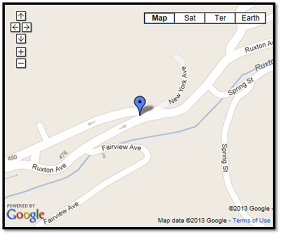 We are located in beautiful Manitou Springs, Colorado. No Answer? Leave us a message and we will contact you within one business day. As an aside, we reside in a historic building at the base of a 14,000 foot mountain. As romantic as that sounds, we often have problems with our phone lines that, to date, can not be mitigated with technology. Unfortunately, it is common place for the phones to automatically forward to one of our reservationist's cell phones. No need for panic or confusion, Dolores, Lori or Rebekah will answer your questions, take your reservation, provide directions, or help you with whatever you need - although they may not answer with the Iron Springs Chateau name.